Google AdWords is an advertising phenonemum. It allows small business to reach large audiences both globally and locally. Is a highly targeted and effective form of marketing. Immediate results - Your advert can appear almost immediately. Trackability - Adwords allows us to track results. You set your budget - When your budget runs out your adverts no longer show. Budgets can be amended as you go. A level playing field - Your adverts can appear alongside large competitors. Setup of the campaigns/ad groups/keywords (as many as necessary). If you already have a Google Adwords campaign, "remarketing" is an extension of it. Google AdWords remarketing is a form of advertising. 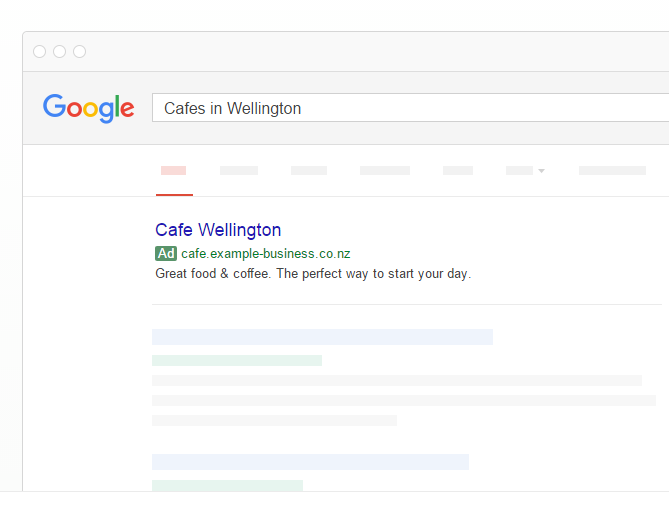 Past visitors who have already landed on to your website from your Google Advertisement, after leaving your website, will see your advertisement again. For example, while they are browsing other websites, watching YouTube videos or other news sites. This keeps your brand top-of-mind and entices them to come back wanting more. Digicol offers this service as an extension of your Google adwords campaign. Do you also offer ongoing Adwords management and campaign setup? I need a campaign setup from scratch. What should I do? Please contact Digicol with the following things: 1) Your URL 2) What you want to achieve (sales/leads/brand awareness…) 3) Your daily / monthly Adwords budget. Depending on that we will give you suggestions on what type of campaign setup is the best for you. What is the cost to set up a campaign? Not one shoe fits all. Pricing is based on the brief you provide and specific campaign requirements. From experience a STARTER adwords campaign would be approximately a one off $750 to set up and $300 per month to manage. This is based on a clients advertising budget being less than $1500 per month. How long are we committed to the campaign? To get the most out of campaign performance we require an initial 4-month commitment period so that we have the appropriate amount of time to manage, analyse and optimise the campaign to improve results. Keyword/Competitor research. Setup of the campaigns/ad groups/keywords (as many as necessary). Writing the ad copy (2 different ones per ad group). Setting up Ad Extensions. Adding negative keywords. Setup of conversion tracking and remarketing. Landing Page advice. Is your online marketing manager google certified? Our online marketing manager is a Google Premier Partner certified for Adwords Search Network, Adwords Display Network, Adwords Shopping Adwords, Mobile Youtube Analytics. Has over 7 years experience and over 1000 clients served! Can you guarantee me sales and leads? We do not give any guarantees, there are too many factors involved to do this. What we do offer is well-laid out campaign, that is well managed and optimised. A good product, convincing website etc. is also very important. Does running Adwords on a low budget make sense? 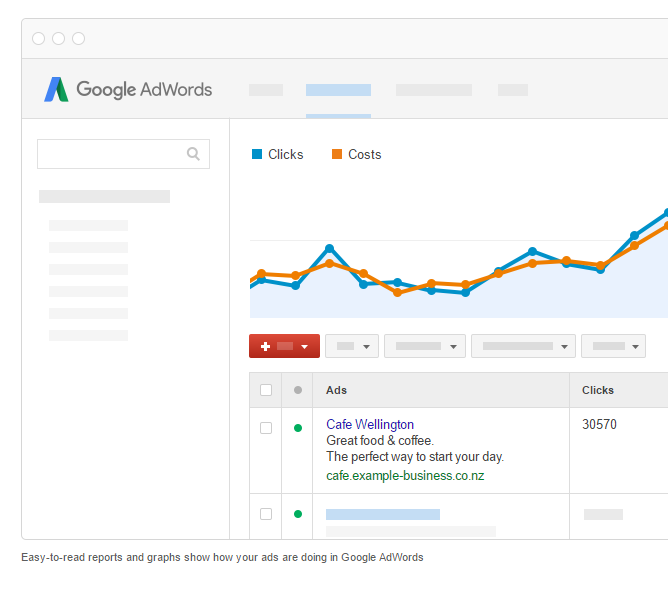 If your budget is too small Adwords might not be the right platform for you. You need to have at least a budget of $20 per day in most cases. With less daily budget Google won’t know where to sort you and it will take a very long time until there is enough collected and significant data needed for further optimisation. Sites that sell LIKES, Twitter Followers etc. Responding to enquiries between 8am and 10pm Monday to Friday. If urgent we will endeavour to reply sooner.